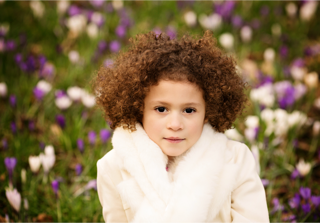 Fox Casting has a number of chaperones available to accompany children on their acting and modelling jobs. Camilla is herself an experienced Chaperone (Matron) and approved by Newcastle City Council to be in charge of children taking part in performances; Film, TV, Theatre, Modelling & Travel. All chaperones on our books are experienced and have clear DBS checks. I am a mother of two girls who have been registered with Camilla Fox for acting work for approximately two years. Camilla is known to me from Byker Grove over 25 years ago, where I undertook extra work with a local theatre school and at that point Camilla was working as a runner. Even then she was a lively friendly lady who always looked out for the kids and adults in her care and made sure everyone was comfortable and was aware of what was happening. 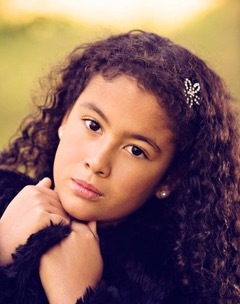 When I realised she now had a local agency in Newcastle I was very comfortable in signing up both my children with Fox casting and trusting Camilla to act in the best interests of my children now 9 and 13 Her experience in the industry left me in no doubt she was well connected and knowledgeable. I understand acting is a fickle industry and up north opportunities for paid work are not plentiful. In the two years I have worked with Camilla she has put my children forward for multiple castings where they fit the brief. Often children look too old or too young too small or too tall, sometimes other children get chosen over yours. Whatever the outcome Camilla always gets back to me with feedback. Since registration with Fox both girls have secured paid professional work. Commercials, Corporate work, Drama and short film work have all been contracted through Camilla. The girls have been busy this month 7 jobs between them all paid, and on location across the North East North West and London. Camilla is very efficient in my experience, regularly keeping me updated by emails which she replies to very quickly or by telephone. Licensing applications are completed and sent to me swiftly with details of chaperones contracted. She is congratulatory in tone when its good news and empathetic when it’s not. She regularly gives advice on social media sites and ensures safeguarding and legislation is adhered to. I would highly recommend Camilla as an agent and trust her completely with my children and the work she puts them forward for.